Having been værfast for a whole day we woke to find that the weather had cleared. 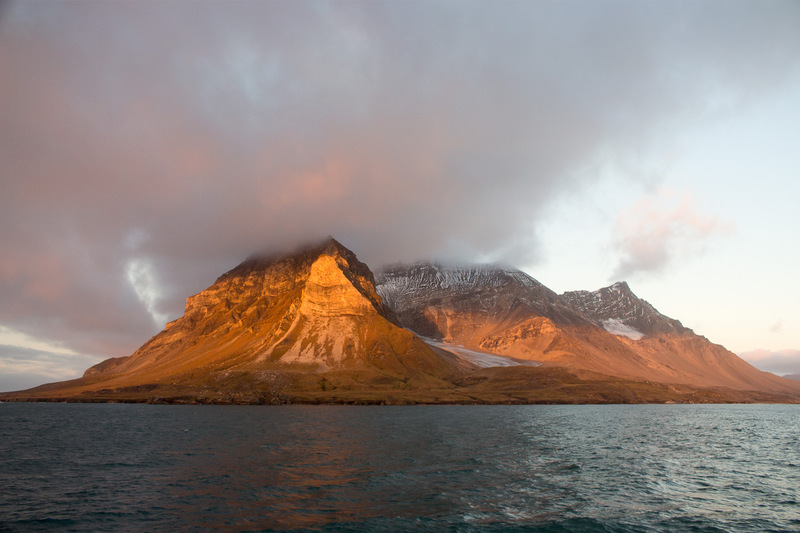 We were able to raise the anchors and sail out of Isfjorden. We found ourselves ship bound for another day but this time we were on the move. Our guides and the ship’s crew decided to take the opportunity to make a leap further north whilst the weather was clear. 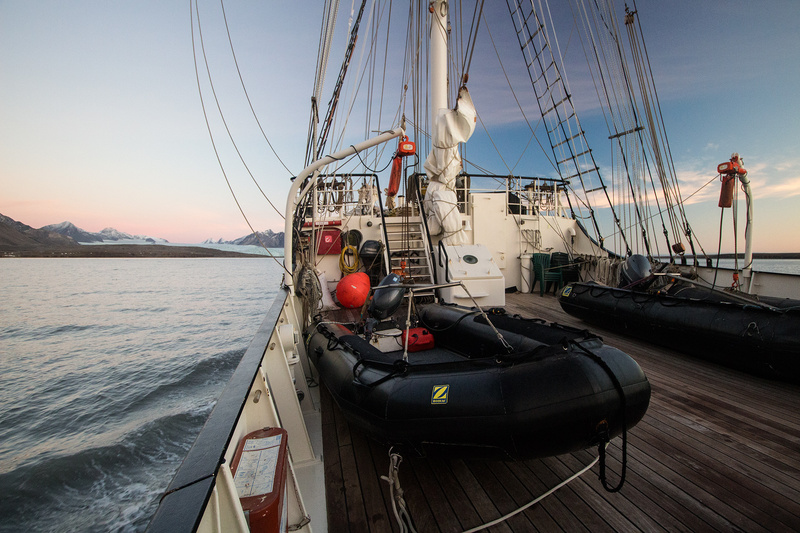 We were headed towards the north west corner of Svalbard. On these ship bound days I spent most of my time out on deck drinking tea, making notes, doodling and taking photographs. The landscape and the light would be constantly changing as we travelled north. 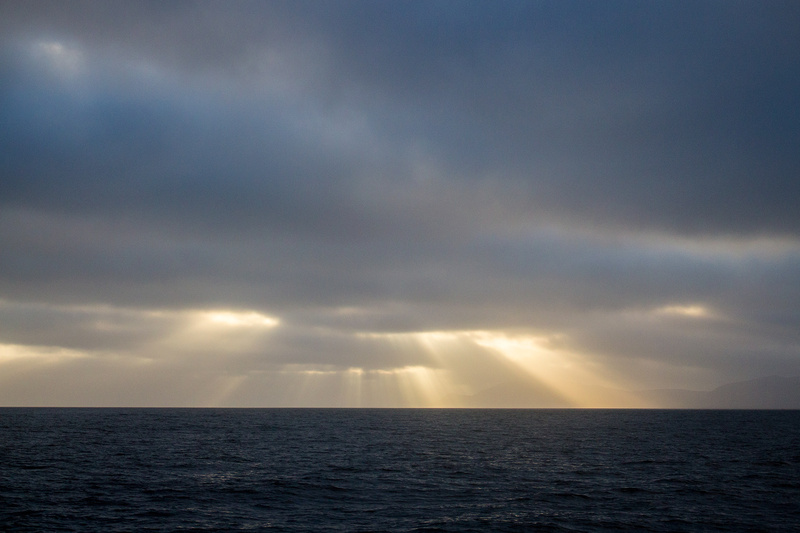 As the days of our expedition passed by the days were getting shorter by as much as 20 minutes per day and the light was becoming increasingly dramatic as the sun remained lower in the sky. It was extraordinary to be able to experience it all as we sailed by.